The young officer stepped into the cool embrace of the hotel lobby, leaving the frenzied bustle and the sweltering heat of the tropical afternoon behind him. Raffles Hotel. This is the place. 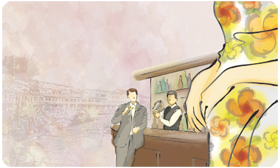 His mind occupied with the duties of the day, he made his way to the bar… and that was when he saw her. With painted lips of crimson red that curled up in the slightest hint of a smile, and eyes that glittered with bemusement as she looked about her, the young woman sat by herself at the furthermost corner of the room as if content enough amidst the boisterous chatter that surrounded her. She was the most beautiful woman he had ever seen in his entire life. “Ngiam!” the officer whispered urgently to the barman. “Hmm?” responded the barman nonchalantly, glancing up at the familiar voice. Ngiam was one person who is up for any challenge. And especially creating a cocktail for his old chap’s future happiness. And so, the Singapore Sling® was created. The sparkling scarlet concoction reflected its exotic routes: enticing fruity notes of Pineapple juice intermingled with Grenadine Syrup, Cherry Brandy, Angostura Bitters, Dom and Cointreau, giving rise to a sweet yet strong, subtle yet seducing cocktail drink. Before long, everybody was asking for the drink. And it became known as the “Commander’s Drink”. 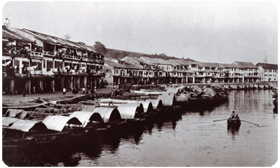 In Hainanese dialect, the word “Commander” is known as “司令” pronounced as “si ling”. And hence “Sling®”. As for the officer and his lady, like any good story, the story ended happily with a wedding. Eighty years later, the Orient’s most famous cocktail would be reborn. Inconsistencies were emerging in the taste, texture, quality and presentation of the cocktail. 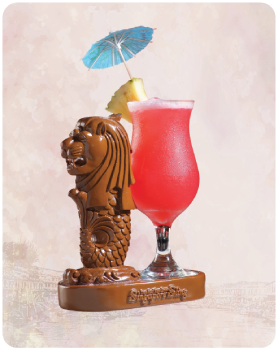 And so, with an entrepreneurial spirit and love of a good challenge, a Singaporean named Mr. Chow Hoo Siong began a tireless quest to perfect the Singapore Sling®. In his devotion to the subtle nuances of taste, he sought to refine and perfect the drink’s signature taste and sophisticated finish to ensure a pleasing consistency and flavour that was true to the iconic drink. After two decades of tireless experimenting, in 1985, he finally perfected the Singapore Sling®. 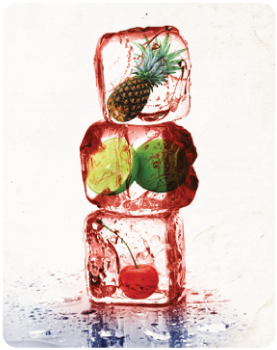 Today, the Singapore Sling® is one of the World’s Top 10 Cocktails, making its appearances in Hollywood blockbusters such as Cocktail and Pirates of the Caribbean. It is served on many airlines including Singapore Airlines, luxury hotels and many prestigious Food and Beverage establishments. With more than a century of history, True Heritage Brew Singapore Sling® has evolved from an innovative drink to an established national brand that is making inroads into the international marketplace with True Heritage Brew leading the way ahead.